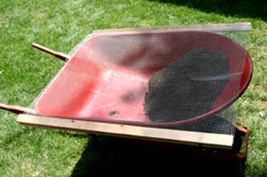 The Soil Sifter II is a simple, lightweight and relatively inexpensive device for turning rocky garden soil or raw compost into smooth topsoil for home gardening. It uses a 1/4" screen. 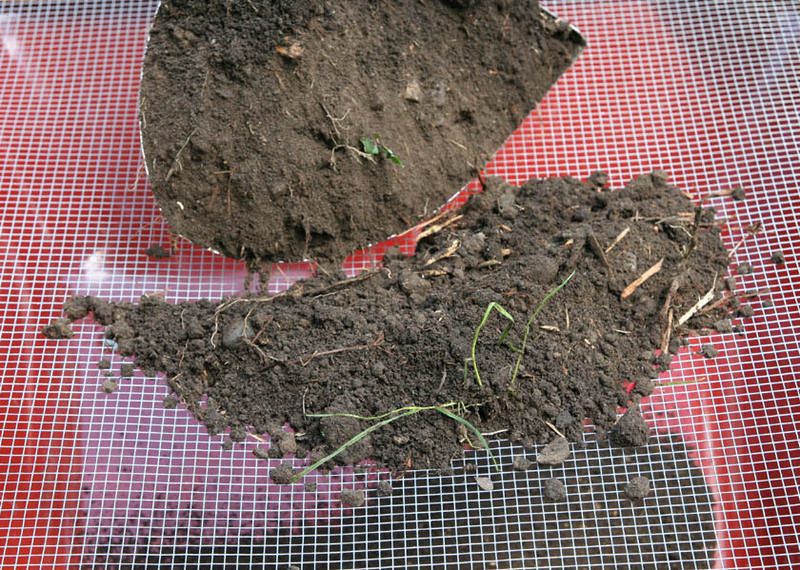 Unlike the original Soil Sifter, it is open on two ends for easier disposal of debris sifted from the soil. 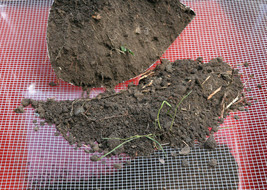 The original Soil Sifter is great, but this is actually the one I use the most. Shipped by Federal Express for a flat rate of 18.